A highly contested bill that potentially would make it quicker and less costly to dismiss teachers has risen from legislative purgatory with significant changes that could lead to passage by the Legislature this week. When last we left AB 375, in July, the author, Assembly Education Committee Chairwoman Joan Buchanan, D-Alamo, was one vote shy of getting the bill out of the Senate Education Committee; the bill appeared bottled up for the year. But Buchanan has been negotiating with Sen. Carol Liu, chairwoman of the education committee, and agreed to three key amendments. With Liu’s support and crucial vote, AB 375 passed the Senate Education Committee on Tuesday and, after a visit to Senate Appropriations Committee, is likely headed to the Senate floor. The deadline for passing all bills is Friday. Spurring calls for change was the case of elementary school teacher Mark Berndt, now awaiting trial on multiple molestation charges against students. Los Angeles Unified paid Berndt $40,000 in back pay and legal fees in 2012 on the condition that he not contest the district’s dismissal charges against him. Since then, the district has agreed to pay $30 million in settlements to dozens of children whose families have filed claims against it. Groups representing school boards and teachers agree that the process for firing teachers, whether for unsatisfactory performance or misconduct, should be streamlined. What has stalled legislation until now has been disagreement over how. Last year, teachers unions thwarted a bill, sponsored by Sen. Alex Padilla, D-Pacoima, that would have removed the power of a three-person appeals board, consisting of a member selected by the attorney for the teacher, a member selected by the district and an independent administrative law judge, to decide cases involving charges of egregious conduct. The local school board would have decided the outcome in those instances, just as they currently do for non-teacher employees like aides and janitors, who can then appeal an unfavorable decision to Superior Court. Teachers unions argued that teachers need protections from false accusations and that the bill undermined their right to a fair and impartial trial. 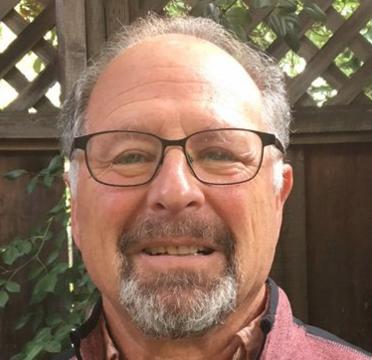 Buchanan, a former San Ramon Valley Unified school board member for two decades who voted against the Padilla bill, took a different tack this year. Her bill would have preserved the three-person panels, called the Commission on Professional Competence, but would have put a seven-month time limit on the length of the legal proceedings, and limited the extent of evidence that could be submitted – one cause of lengthy proceedings. allowed dismissal charges for immoral conduct to be served to teachers over the summer instead of waiting months before school resumed. The California Teachers Association and the California Federation of Teachers supported her bill but organizations representing school boards and administrators opposed it, along with the advocacy groups StudentsFirst and EdVoice, saying it didn’t go far enough to fix the problem. “There are some positive steps forward, but it takes three steps back,” Bill Lucia, CEO of EdVoice, said at a hearing before Senate Education. Opponents argued that lawyers representing teachers would stretch out the clock, giving districts the option of settling the case to avoid further expense, as they had before, or refiling the charges. An administrative law judge could extend the seven-month deadline for wrapping up the case for a “reasonable timetable” if there were a “good cause,” as opposed to “extraordinary circumstances” required for an extension under the previous bill. The criteria for selecting a teacher or administrator to serve on the three-member commission would be loosened somewhat to expand the potential pool of candidates. Districts had complained that the requirement that only a teacher in the discipline of the accused teacher – a high school French teacher, for example – could serve was too restrictive and created another complication. Opponents say the revisions are still too tight, especially for cases of immoral behavior or misconduct, where the subject area of the teacher is not relevant. New wording makes explicit that the district will continue to be able to keep a teacher suspended for misconduct on administrative leave, away from the classroom, while the teacher appeals suspension charges to an administrative law judge. During brief testimony Tuesday before the Senate Education Committee, Superintendent of Public Instruction Tom Torklanson praised the bill, which he said “streamlines the system of teacher discipline and dismissal.” Sen. Padilla said he continues to support the bill, as amended. Buchanan dismissed that characterization and called her bill a fair compromise on a contentious issue. John Fensterwald covers state education policy. Contact him and receive his tweets @jfenster. You’ll never get a bill passed that totally satisfies either. It’s a matter of degree. Sen. Padilla, who carried the bill that unions opposed last year, supported this version, which says something. Supported by the unions and opposed by management. How is that a compromise? When an army fails we fire the generals. When schools fail we fire the teachers. There must be something here that is not understood. This is being described as an Teacher Evaluation bill, how would this affect the evaluation process at the local level?